Why do we exist ? What is our purpose, belief and driving force that inspires each one of us everyday. We together have reimagined a seamless B2B supply chain and we wake up everyday to make it a reality. Working towards reducing operational cost and, purchasing staff time by speeding the process of issuing purchase order. Embedding data governance, holds a crucial importance for a successful supplier collaboration and, optimised workflows. Lack of transparency results in delayed lead time, significantly low efficiency and exorbitant purchase costs, in the largely offline procurement process. Bringing time bound certainty to the exhausting process of procuring industrial products and business supplies. Doing away with the overwhelming process of dealing with multiple vendors, their invoices and payments. Providing Real-Time interaction with trustworthy suppliers, across the country. In the process, we are bridging the gap in the market for sourcing of industrial supplies. Amidst the transformational rollout of GST, we helped our customers reach the shore of complete compliance. We have been relentlessly working to provide taxpayers with a robust IT infrastructure, where they can seamlessly file their GST returns. 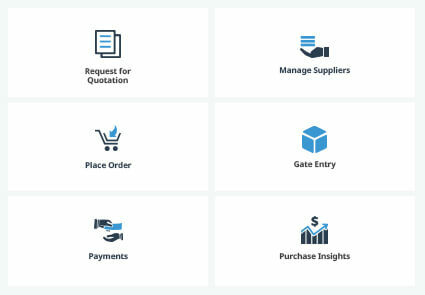 Creating a win-win situation for both suppliers and, manufacturers, by formulating a comprehensive platform, in order to document our complete catalogue, containing inputs from thousands of our suppliers, across the nation. Expunging out conventional modus-operandi and, on-boarding a cutting-edge facility to facilitate accurate data management and, faster supply chain procurement. 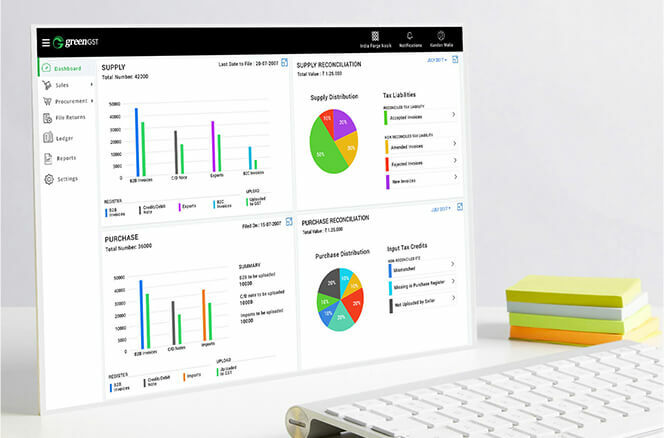 Easier Vendor Management to empower you with increased purchasing power and decreased freight cost. Showcasing of 2000+ brands from suppliers all across the country. As a leading industrial equipment supplier, we have 2L+ products encompassing the vast range from safety shoes to drill machines. A one stop-solution for meeting all your GST compliance needs. Having served more than 200+ clients in past two years we have developed a deep and varied understanding of the various sectors. We have delivered excellence in numerous industries including energy, power, furniture, automotive, pharmaceuticals among others. From the fundamentals to the current trends, we stay on top of this industry in pursuit of operational excellence. We are backing this high growth sector by combining our technical expertise with deep industrial insights. With clienteles such as Minda, Lumax among others we have already gained high competitive advantage in this sector. We are here to address the bottlenecks to promote growth of this highly significant industry for indian economy. Media has been raving about us. So far, we have been featured in Economics Times, Business Standard, Mint, etc. Catch the buzz right here. 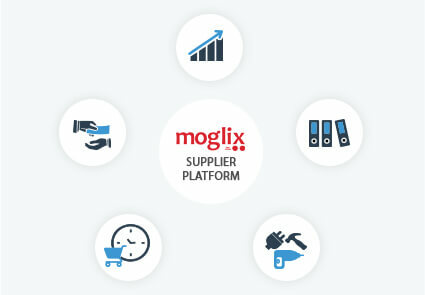 Behind The Scenes – Rahul Garg’s Moglix is solving supply chain challenges for businesses. Over the past decade, when everybody was focusing on solving problems of end consumers, Rahul Garg, founder and CEO of Moglix, was looking to find pain points of businesses and how to resolve them. 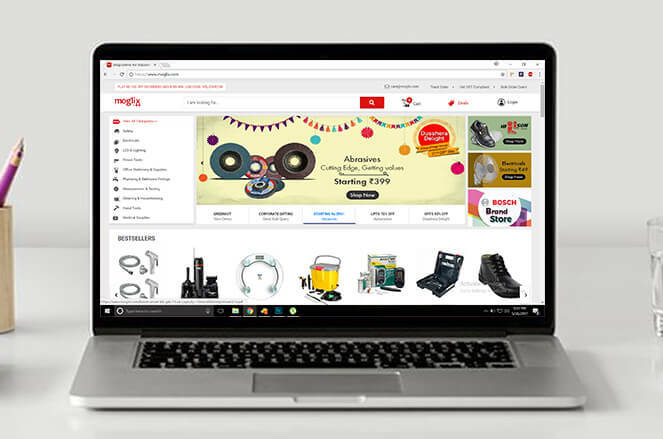 He started out with a simple statement in 2015: “How can we re-imagine B2B commerce with technology?” And he entered a segment which had not seen innovation in a long while, and that is how the B2B e-commerce startup came in to being. In an increasingly connected world its surprising that millions of small and medium enterprises are still unable to benefit from the fruits of online commerce by getting on B2B platforms. Deloitte announced the 50 fastest growing technology companies in the country as part of its Technology Fast 50 India 2018 program. The cumulative revenue of the top 10 winners has jumped from Rs 18 crore in 2016 to almost Rs 500 crore in 2018, marking a growth of almost 28x, said a statement. Over the past three months, business-to-business (B2B) e-commerce marketplace Industrybuying has slashed its workforce to fewer than 300 – less than half of what it was a year ago – people close to the development told TechCircle. Three top executives have also put in their papers in the recent past. We are Asia-based e-commerce company specializing in B2B procurement of industrial products. We extend our expertise in supply chain to solve problems related to digitization of supply chain as well as making it GST compliant. We are 200 + strong and headquartered in Singapore. In India, we are based out of Noida, Gurgaon, Chennai, and Pune. Moglix is proud to partner with some of the most successful and, visible corporations in India and, around the world. Our partnerships are built to be dynamic and, flexible, fuelling our chariot towards unparalleled growth. Queries regarding GST or vendor consolidation? Moglix is ready to help you!